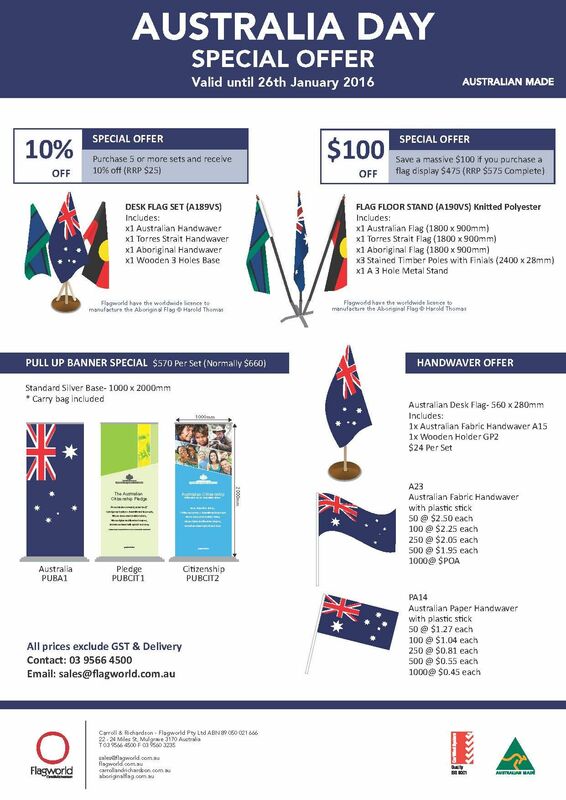 Proudly celebrate Australia with national flags & banners. Save up to $100 until 26th January 2016! Call us to take advantage of these great offers 1800 135 247.